← Is Bronze a Type of Metal? Automotive batteries are vital to the operating system of gasoline-powered vehicles on the road today. They provide the energy to the car starter needed to jump start the ignition. Several types of car batteries exist, such as spill-proof batteries, glass mat batteries, electric batteries, sealed, maintenance-free, and more; but the most common and widely-used automotive battery today are lead-acid batteries. We Buy Used Car Batteries! There are two types of lead-acid batteries: starting (shallow cycle) and deep cycle. Deep cycle batteries are intended to provide long periods of continuous power. They are primarily used for golf carts, small boats, and auxiliary or recreational vehicles. Starting batteries are the ones used for cars and trucks. They deliver large bursts of power in a short time-frame in order to start a vehicle’s engine. Car batteries require a certain degree of maintenance and care, even if they are “maintenance-free” car batteries. Depending on the type of battery, some will need occasional re-fills of electrolyte fluid, water, or battery fluid. Once a battery is old or defective, it needs replaced. If it runs out of power, it needs re-charged right away. Below are some “do’s and do not’s” of automotive battery management. 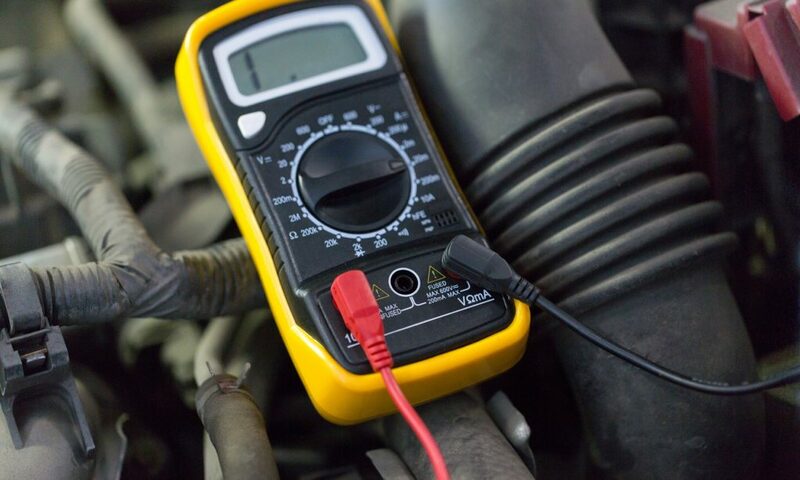 Review these lists and apply this knowledge when purchasing or disposing of a car battery. ❎ Never Forget that Safety Always Comes First! ❎ Never disconnect battery cables while engines are running. ❎ Do not mix battery sizes and types. ❎ Do not use tap water when re-filling battery cells. ❎ When charging car batteries, do not use an unregulated high-output charger. ❎ Do not discharge a car battery deeper than needed. ❎ Do not wait too long to re-charge a car battery. ❎ Do not let batteries get too hot and boil when charging.  Read through manuals for detailed instructions and information.  Watch tutorials before attempting to charge or replace car batteries for the first time.  Regularly inspect and maintenance car batteries.  Increase frequency of battery maintenance and inspection during hot seasons.  Immediately re-charge a car battery once it discharges.  Choose a car battery with the highest reserve capacity or amp hour for your vehicle.  Contact a trusted Indianapolis used auto part buyer to sell your old car battery for cash. Call Zore’s Recycling at 317-244-0700 to recycle used auto parts in Indianapolis, Indiana. We pay cash on the spot for all used auto parts, including car batteries, catalytic converters, motors, and more. And as a long-standing family owned business, we offer the highest returns in town. If you are looking for used OEM auto parts, we have a division for that too! For more than 75 years, Zore’s has been a trusted auto recycling company here in Indianapolis, IN. This entry was posted in Automotive Recycling and tagged Car Battery buyer, Car Battery care, Car Battery tips, Deep cycle batteries, lead-acid batteries, sell Car Battery, shallow cycle batteries. Bookmark the permalink.